Yearning for a change of scenery? Ready for looks at bewitching fantasy creatures such as fairies, wizards, elves, and goblins? You've come to the right place. We at Slots ltd present the Enchanted Woods by Microgaming. A leading developer of games for online slots casinos, Microgaming specializes in providing entertaining games for the discerning online player. Enchanted Woods is one such online slots game in a mythological setting. The game is magical, whimsical and fantasy themed with characters from old Gaelic mythology. Just login and create an account for free and enjoy with our Welcome bonuses right away. Play Online Slots Casino Enchanted Woods For Amazing Money Online - Login Now! One of Slots Ltd's most played online slots casino games; this game has 5 reels populated with fantasyland creatures such as toads, fairies, dwarf, mushrooms, pixies, elf, goblins, wizards, and other woodland dwellers. Hit the free Slots and play on till eternity! There is one payline. After each spin, there is the option to hold reels and play the next spin free for a better chance of winning. Select a bet from 0.10 to 100. There are a total of 10 betting options - 0.10, 0.20, 0.50, 1, 2, 5, 10, 20, 50 and 100. The greater the bet placed the higher the payout. The + or - symbols can be used to adjust the bet as per player choice. Then hit play and watch the reels spin. Once the reels stop the player has the choice to "hold" any of the reels and play a free spin. Keep the money coming. Keep spinning and winning. 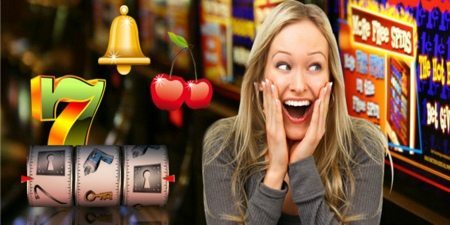 The unique Hold feature offers a higher probability of wins for the player and makes the game more interesting and different from a standard online slots casino game. This feature hands a bit of control to the player. Another interesting feature of this game is the Wild Symbol - an enchanting fairy card that appears only on reels 2 and 4. The fairy can be a substitute for any symbol except the bonus toad symbol. If the toads on the reels add up to 3 or more then there is a bonus round awarded. The bonus round is called Pick A Toad. As the name suggests, a new window opens up where the player gets to pick 3, 4 or 5 neon toads hidden in a large ancient tree. The number of toads to be picked depends on the number of bonus symbols that appeared in the payline. Every toad symbol has a different prize value and based on the toads picked, rewards will be awarded for the bonus round. There is a maximum of 180 coins to be won. In order to win, there need to be 3 matching symbols or 2 or more bonus symbols. The Enchanted Woods online slots casino game has a very high return to player rate (RTP) of 96.4%. This implies that for every £100 spent, the player wins £96.4 back. Any fan of fantasy themes will love this online slots casino game. The theme is etched into every aspect of the game, not just the cards on the reels. The frames for the cards, the surrounding background, the fonts and icons all sync well with the woodland theme. The animations when a player gets wins are also eye-catching. For a fun filled, entertaining online slots game play Slots Ltd's presentation of the Enchanted Woods by Microgaming.